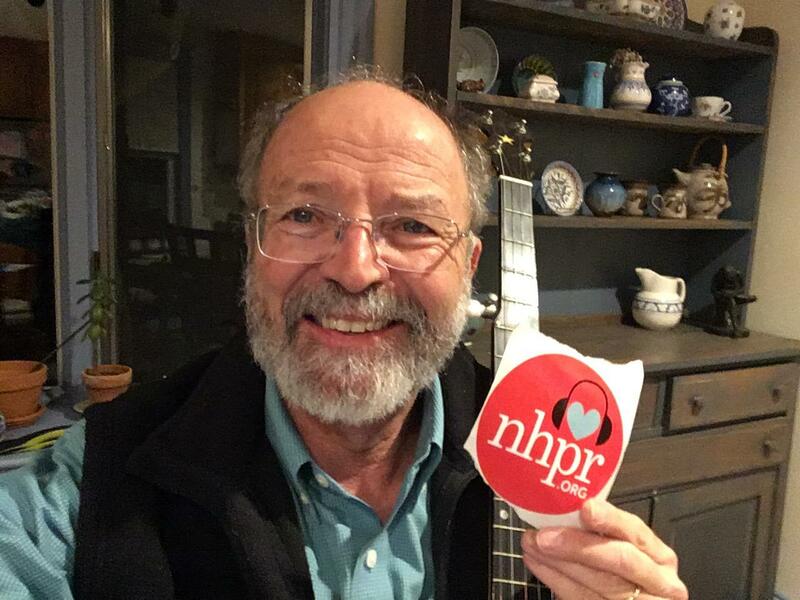 Tom Smith sporting is own NHPR sticker! Award winning singer-songwriter Tom Smith writes a song per month, with enough material in his coffers for at least 3 CD's! Our NHPR Folk Facebook listeners highly recommended Tom for The Folk Show. Tune in to find out why!